Bright, desperate eyes scan the sea, waiting for guidance. Finally, a moment of courage washes over the shore, and a new generation ventures out across the ocean. So begins the story contemporary art historian, critic, and curator Ilaria Bernardi unfolds during a panel discussion on the state of contemporary Italian art at the Embassy of Italy. Arranged by the Italian Cultural Institute to celebrate the International Day of Italian Contemporary Art, Bernardi was joined by artist Massimo Bartolini and Magazzino Italian Art Foundation co-founders Nancy Olnick and Giorgio Spanu to raise awareness of emerging trends and accomplishments in contemporary Italian art. Most Americans envision massive, prodigious columns and coliseums when they think of Italian architecture. The abundant museums in Florence covered wall to wall in celestial Renaissance paintings come to mind when they think of Italian art. Despite the fact that creative innovation is still alive today as it was in previous centuries, young Italian artists are left with little space to express themselves. Although Bernardi’s group exhibition at the Italian Cultural Institute in New York is entitled Young Italians, it does not draw a line between classic and contemporary Italian art. Rather, reflections of Italian culture clearly influence the work of the twelve Italian artists under the age of 40 chosen to display their pieces. The key to understanding contemporary Italian art is to go back, Bernardi posits, to the story of Telemachus and its ties to current Italian culture, an idea originally put forth in the book Il Complesso di Telemaco, or The Complex of Telemachus, by Massimo Recalcati. In Greek mythology, Telemachus is the son of the hero Odysseus and his wife, Penelope. He would gaze out on the sea waiting for his father to return from his epic journey, and for guidance into adulthood. Finally, Telemachus is brave and restless enough to venture out to Pylos and Sparta in search of his wandering father. On his return, he found that Odysseus had reached home before him. Italy is in crisis, and the new generation feels this crisis strongly, without the guidance of the “father,” or stability of its institutions. The young artists gaze at the sea waiting for something, until they realize they must recover their own future and legacy. Bernardi’s exhibition identifies the Telemachuses of Italian art, the ones who take action. For the new Telemachuses, Bartolini conjures up a brighter future in Italy. Grants and residencies are now becoming the norm for young artists, allowing them a space to showcase their work amid a country replete with ancient and medieval wonders. The studios and other small independent spaces have raised awareness of the vibrant contemporary art available to the public. 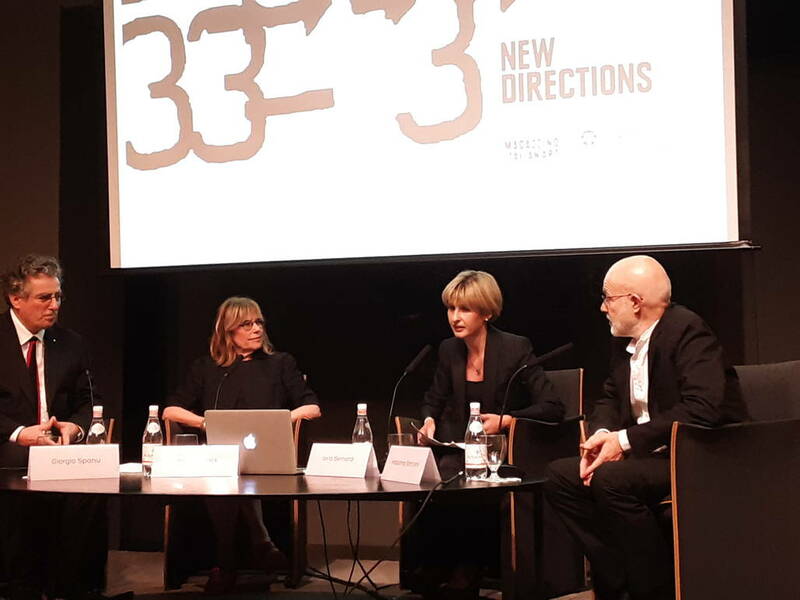 Bartolini is optimistic for the future of young contemporary artists in Italy. 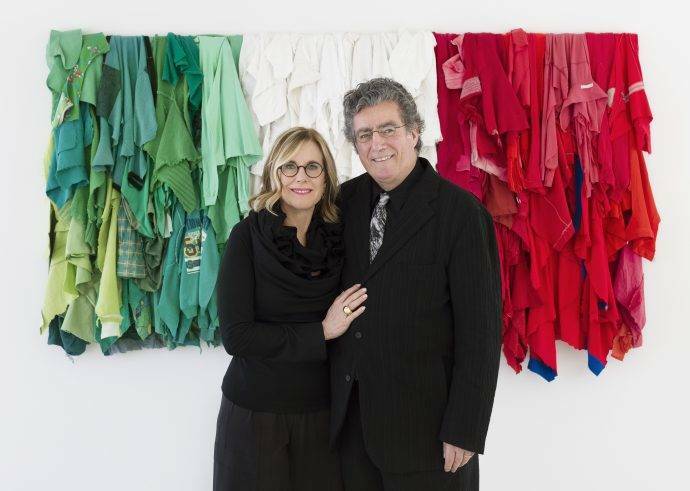 Meanwhile, Giorgio Spanu and Nancy Olnick have made it the mission of their newly opened museum, Magazzino Italian Art, to provide a space for these artists to raise consciousness of their ideas on American soil. 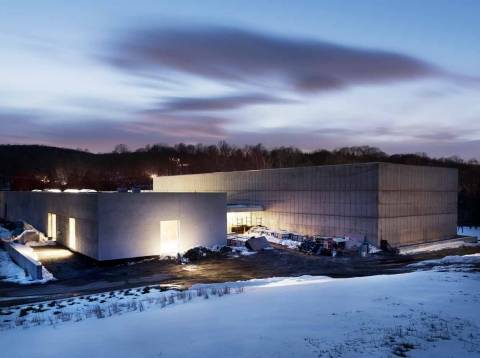 It serves as a “temporary guardian” of postwar and contemporary Italian art in Cold Spring, New York, and a cultural hub for the Hudson Valley community. Under the guidance of Director Vittorio Calabrese, also present at the panel discussion, the museum bridges collaborations with American and Italian institutions to spark discussions of Italian art in the United States, and educate young artists on advances in the art movement. 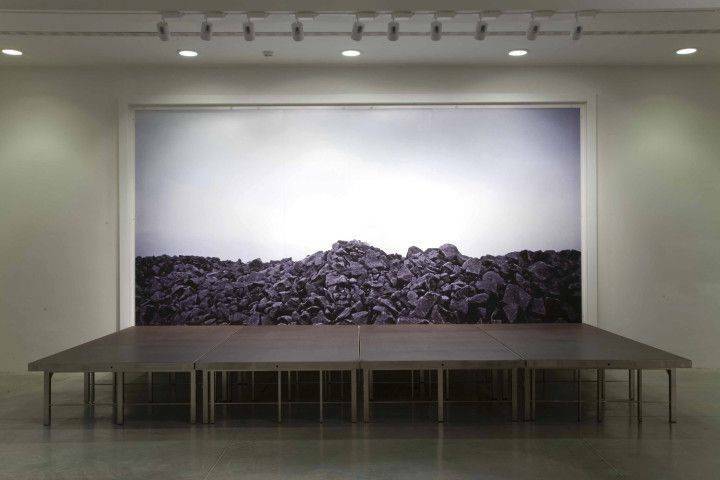 From New York and Sardinia, Italy, respectively, Olnick and Spanu began their collection by acquiring works by Modern Art masters and American Pop artists, a movement contemporary but juxtaposed to Arte Povera. Inspired by gallerists like Margherita Stein, they furthered their commitment to the arts through the Olnick Spanu Art Program, a one-year artist residency program that invites contemporary Italian artists to create site-specific installations on the couple’s property in Garrison, New York. Through this program, they have premiered to American audiences work by ten emerging Italian artists, such as Giorgio Vigna, Domenico Bianchi, and of course, Massimo Bartolini. When the contemporary pieces were too large to fit in their home, Olnick and Spanu commissioned New York-based architect Miguel Quismondo in 2014 to construct the 20,000 square-foot Magazzino, or warehouse in Italian. Quismondo won the 2018 AIA New York Design Award in architecture for the building. Olnick and Spanu have become the guide, the guardian, for Italian Telemachuses traveling across the sea to build a home for their art. 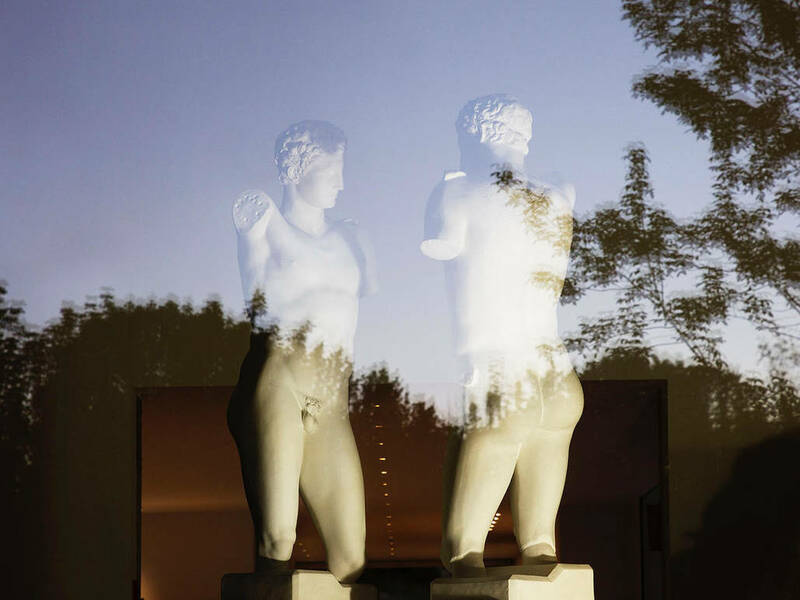 Admission to Magazzino Italian Art is free and open to the public. 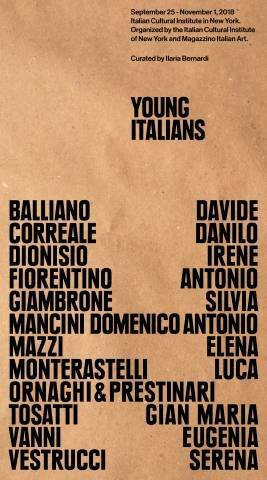 The Young Italians group exhibit is open at the Italian Cultural Institute in New York from September 25 to Thursday, November 1, 2018, and free to enter. Women in Cinema: "Daughter of Mine" Comes to D.C.
Italian Renaissance Prints on Display in D.C.
Emilio Cavallini's Genius Comes to D.C.